Fiat Ducato 2000 is a large minibus developed by the Italian company Fiat. This minivan was also produced under the brands Citroen (Citroen Jumper) and Peugeot (Peugeot Boxer). The first generation of Fiat Ducato was introduced in 1981. The car was produced at the plant “Sevel Sud” in Italy. The most similar cars at that time: Alfa Romeo AR6, Peugeot J5, Citroën C25 and Talbot Express. 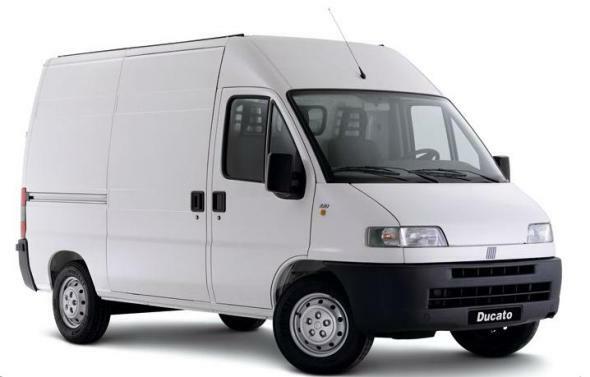 Fiat Ducato model included several variants named according to their load-lifting characteristics: Ducato 10 (1.0 t), Ducato 13 (1.3 t), Ducato 14 (1.4 t) and Ducato Maxi 18 (1.8 t). For the Fiat Ducato of the first generation, six engine variants were offered three petrol and three diesel power units. The list of gasoline engines included: 4-cylinder engines, one of which was a volume of 1.8 liters, the power of which was 68 hp. And two engines in volume of 2 liters capacity of 74 hp. and 83 hp. And diesel power units were the following: a volume of 1.9 liters and a power of 69 hp; Volume of 2.5 liters capacity of 72 hp; Turbodiesel volume of 2.5 liters, the power of which was 94 hp. 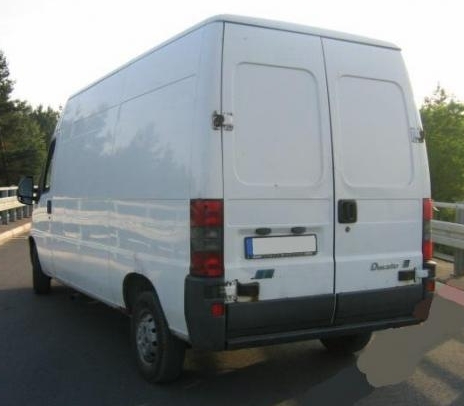 In 1993 a new generation of Fiat Ducato 2000 was developed for the 1994 model year. The car had a completely redesigned exterior, which lost its former body angularity. In 1998 in the list of engines there is a diesel power unit from the company Iveco in volume of 2.8 liters, and also its turbo version. Also by 1999 various specialized modifications of the minibus were developed under the names Ducato Goods Transport (for cargo), Ducato Passenger Transport (for passengers) and Ducato Combi (passenger-cargo variant). For Fiat Ducato Goods Transport the following engines were offered: a 2.0-liter petrol engine (99 hp), a 2.0-liter turbo diesel JTD with a power of 99 hp. (It was offered in 1999), a 16-valve JTD turbodiesel with a capacity of 2.3 liters (108 hp) and a 2.8-liter turbo diesel engine JTD. Two versions of the transmission were also proposed: a 5-speed manual transmission and a 4-speed automatic. Passenger model Fiat Ducato Passenger accommodates from six to nine passengers. It was offered with a 16-valve turbocharged diesel power unit JTD with a capacity of 2.3 liters and a capacity of 110 hp. The universal model Ducato Combi could be successfully used, both for passenger transportation (up to nine people) and for cargo transportation. The car also had versions with different load capacities – Ducato 10 (1t), Ducato 14 (1.4t) and Ducato Maxi 18 (1.8t). In this review we want to tell you about the Fiat Ducato 2000. 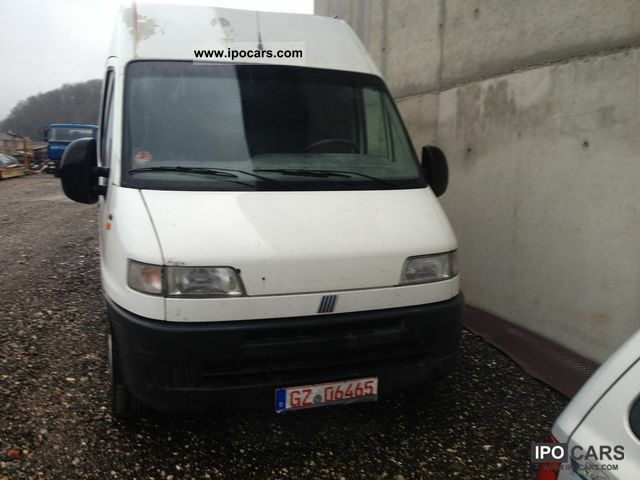 See photos and video of Fiat Ducato 2000, leave your comments about this car. Fiat has six major models, including Fiat Ducato 2000, that is, pop, easy, sport and turbo, lounge and 1957 edition-Lounge and 1957 edition of Fiat are the most secure with Rear Park Assist but has only one interior color as opposed to the rest.